​The Quad Cities ReStore opened at 3629 Mississippi Ave., Davenport, Iowa in December 2002 to provide an alternative to disposal of unwanted building products and to provide funding for the work of Habi­tat for Human­ity Quad Cities. The first Habi­tat ReStore in Iowa, the Quad Cities store was inspired by several hundred ReStores nationwide. The original Quad Cities ReStore occupied 16,000 sq. ft. and carried only building products. Through the support of the community, it has grown to 27,000 sq. ft. and now carries building products, appliances and furniture. In June 2012, a new division of ReStore was opened in the same location. ReStore Health & Home, which carries new and gently used home medical equipment has its own entry on the west side of the ReStore building. More details and hours. 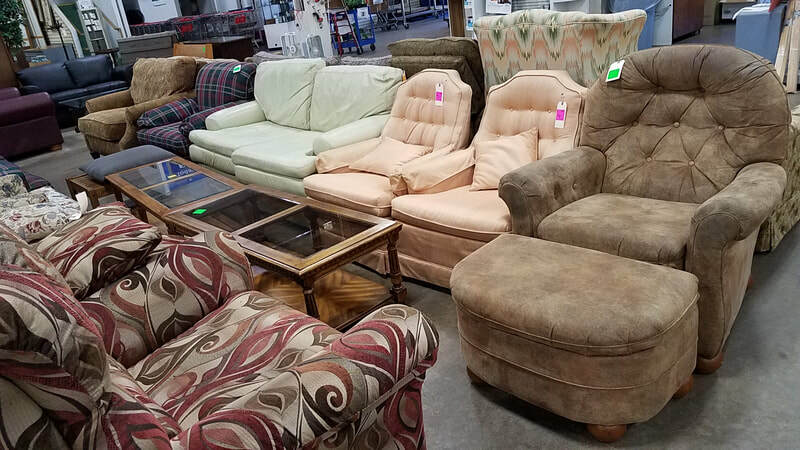 Thank you for your interest in rescuing valuable materials from landfills and providing homes for deserving families by shopping, donating or volunteering at the Habitat ReStore. in providing support for local Habitat for Humanity affiliates. ​Find a ReStore near you! Sign up to receive our ReStore E-news. We do NOT sell or share your information with anyone. Thank you! ​materials from area landfills and provided funding for more than 16 homes. Habitat for Humanity Quad Cities is empowered by God to bring people together to build and renovate homes, to revitalize our community and to restore hope.